Hi Gorgeous! The other day I was going through my reader’s list on my blog and realize many people are not blogging anymore! 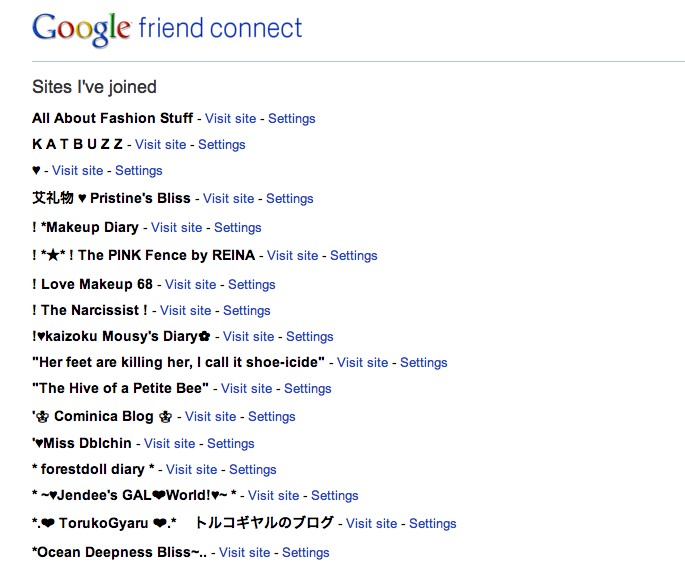 It’s sad but I guess I should clean up blogs from my list that are no longer active. Soon I realize... I don’t know how to do that! On your blogger.com/home page, it shows the reading list on the bottom. When you go to the setting wheel thing on the right, you may think you can click on it and mange your reading list, however it just gives you an error message. The thing I hate about these error message is that it makes me believe that it’s an temporary error and will be back to function in no time.. WRONG! In reality this link is actually broken and not function able anymore. & you would start trying other methods to unfollow but it seems to be impossible when the bloggs are either deleted or doesn’t have the google follow panel on their blog. so... HOW TO UN-FOLLOW BLOGS? from there, you’ll see your reading list, click on setting and choose to unfollow. When you refresh this page, you’ll see it updated, as well as your reading list on blogger dashboard. Easy enough? It took me a long time to figure this out! Alright, have fun cleaning up your reading list.. so you can make room for the blogs that you really want to read! I hope you like this how to blogpost, please leave a comment for any comment/suggestion.